This is a cool fish skeleton design! Accent a humorous kitchen apron, or place mat! 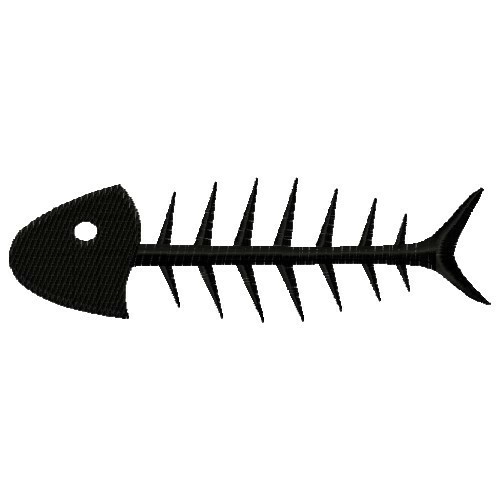 Embroidery Stitches is happy to present Fish Skeleton machine embroidery design which has 5208 stitches and is [160.02 mm x 48.01 mm] large. If you would like to view more embroidery patterns please search on our embroidery designs page.